I was out walking with my girlfriend and her dog tonight in O’Fallon Missouri. The sky was cloudless, with nice star viewing. I was looking up at the stars while she was watching the dog doing what dogs do when I noticed an object moving through the night sky at approx 11:40PM (plus or minus 15 minutes), Saturday November 9th. I first noticed it because it was blocking out the stars as it moved. The object was completely unlit, and was quite dark – although not as dark as the blackness of the sky itself. 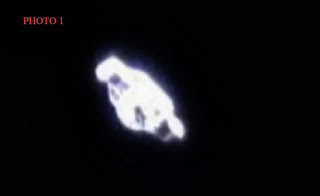 I could clearly make out its boomerang V shape as it passed above me, since it was slightly lighter than the background. It was not easy to see, extremely subtle, and would be easily missed. It was silent. It moved at the same speed and in the same unwavering direction the entire time I watched it. I was able to track it for less than one minute. It moved from roughly north to south across the sky, and was nearly directly overhead as it passed me. Its course would have been roughly parallel to Highway K in O’Fallon, MO, the nearest large road to my viewing location. I did not get a chance to view its entire course across the sky, I first noticed it perhaps halfway up from the horizon as it approached me and then lost it in a similar position as it passed into the distance. As it crossed over me its “apparent size” from my location was very similar to holding one of the 2 or 3 inch matchbox type airplanes out at arms length above me. Due to the way it blended in so very well with the night sky I lost it from my sight well before it reached the horizon. It was impossible for me to tell how big it was or how high due to a lack of scale reference to it. When I first noticed it I thought it was a large bird or owl hovering in the sky hunting, however that impression did not last. As it approached closer I thought perhaps it was a kite or odd shaped balloon floating slowly by. None of these impressions lasted more than a few seconds though. It was clear well before it was overhead though that it was neither an animal nor an object floating in the wind. The object was a squared off “V” shaped aerial machine. The angle of the “V” was wide, perhaps as much as 120 degrees. It was a narrow, if you want an approx of its appearance/shape/scale then imagine two black 12 inch rulers pinned together at a wide angle. After looking at it a few seconds, and continued to verbally express my incomprehension of what this object was. I pointed it out to my girlfriend but she could not locate it in the sky. The closest aerial vehicle that I know in comparison to what I saw would be the Northrop B2 bomber, which are stationed in central Missouri, and I have seen them in flight before. However, given the actual size of a B2 vs the relative size of the object I saw, the engine noise would have been extreme. Also the object I saw did not have an apparent engine section extension added to the “boomerang” body shape, like the B2 has. I was traveling home from a local take out restaurant in Malaga new jersey. I first noticed the triangle black object straight ahead of me at a 45 degree angle, out of my front windshield. I made a turn onto Swedesboro rd, heading towards my home aprox 1/4 mile away. I pulled off the road into the grass and got out of my car to see it. I see planes all the time ,night and day, because my home is located on the airlines flight path to Philadelphia International Airport. This night time object was so different from commercial planes that I had to get out of the car. The triangle slowly traveled overhead and I could hear a slight hum or whining noise. There were two green lights on one corner of the triangle and two red light on the other corner or back of the object. There were also two lights, one in the front and one in the back. I have included a rendering of the object. I first noticed the object in the south west sky and after it traveled over my car it headed to the north east direction then made a turn to the north. I am the Chief Investigator for MUFON in New Jersey and I found out there is another similar sighting. 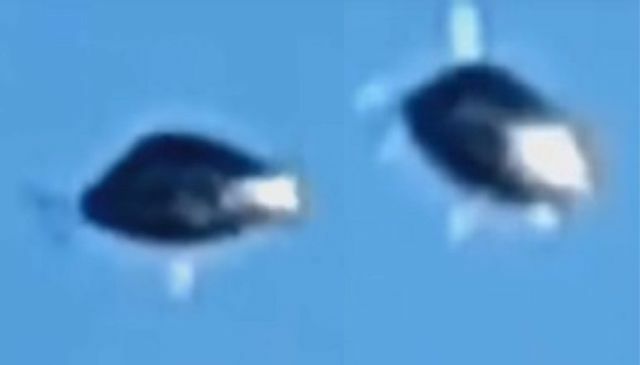 I am wondering if these UFO’s, or some people call them alien craft, try to copy the light patterns of our own commercial jets so they can hide in plain sight ? It would make perfect sense to me. Temperature was approximately 50 degrees with no winds and partly cloudy. NOTE: The above image is a rendering of the Franklinville object. At approximately 11:00 AM on August 10, 1989 near the city of Prohladnyi, Russia, Soviet military radar units detected an unidentified flying object. After attempts to communicate went unanswered, the object was noted as “hostile.” Defense systems were put on alert, with utilization of surface to air missiles, and the deployment of Mig-25s. Blasting out of Rostov and Krymsk, the Migs were ordered to intercept and identify the unknown object. 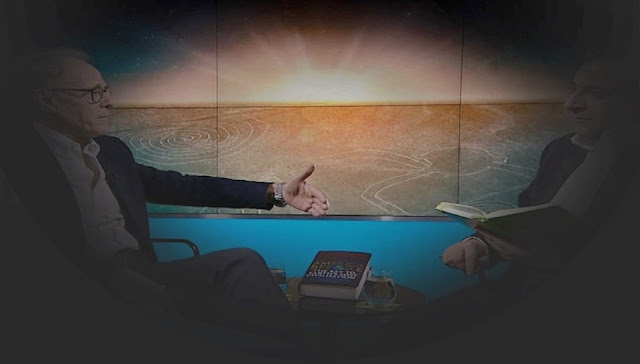 The UFO was on a north heading, like foreign missiles or planes would be, and the order was given to arm and use weapons. 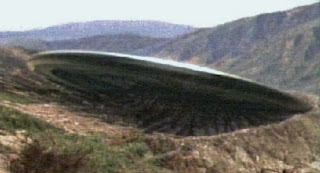 A ground to air missile hit the UFO, causing it to ditch over the Caucasian Mountains. 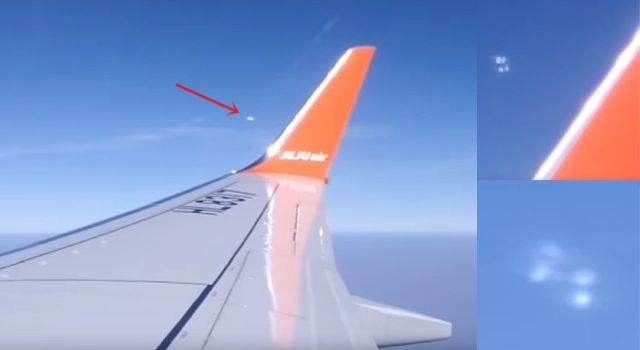 A retrieval team on board an M1-8 helicopter was sent, and the disc-shaped object was located outside of Nizhnizy Chegem, and the area around the crash site was soon cordoned off. 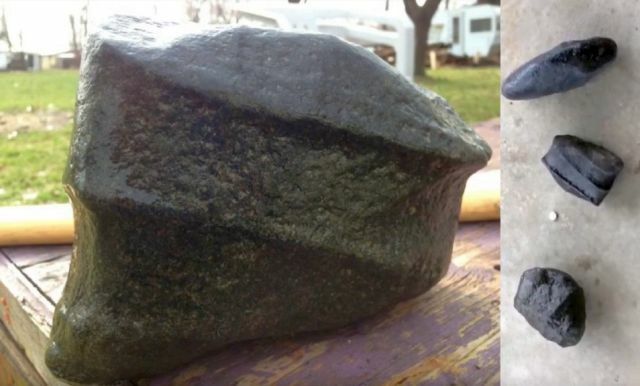 The object was 6.9 meters long and 3.0 meters high, shaped like a cockleshell, according to witnesses. A long rut in the earth could be seen leading to the craft, which had smashed into an area of rocks. The damage from the missile was obvious, causing the object to lose its original shape. A team with special protective equipment moved into the scene. Dosimeters detected radiation, and precautionary measures were immediately taken, but not before some team members had been exposed. The object was delivered by helicopter to Mozdok Air Base, where nuclear weapons and long range bombers were housed. A special investigative team was assembled, and sent to the base to begin an investigation into the mysteries of the unknown flying object. This team consisted of military and civilian personnel. The KGB began a cover-up operation. The craft research team gained entry into the craft via a partially opened door. The team was in full protective gear as they began their investigation of the inside of the craft. As one would expect, control panels and equipment was visible, but more importantly three alien creatures, two dead were found. The two dead aliens had apparently been killed by falling equipment, but the third managed to save itself, but was suffering from several wounds. 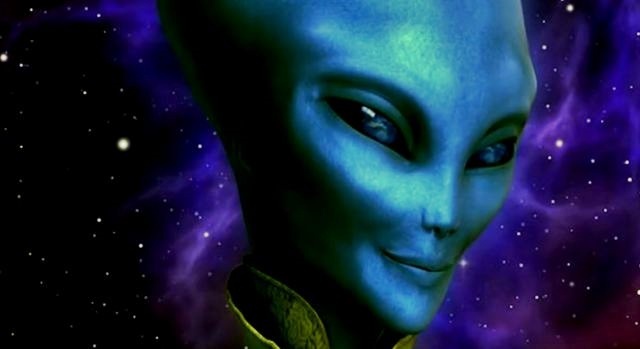 A medical team attempted to keep the alien alive, but their efforts failed. He and his two companions were about 1.0-1.2 meters tall, with whitish gray skin that appeared to be outer cover. The real skin beneath this cover was a blue-green color with a reptilian texture. The other worldly beings also had hairless heads, large black eyes, almost round, which were covered by a protective lid. Three web fingers were at the end of their long, slender arms. 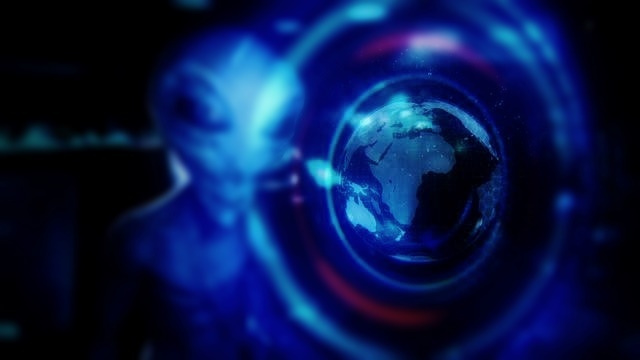 The three dead aliens were preserved in glass containers in a top-secret underground facility. This secret location is allegedly hidden among the multitude of trees near the research center east of Solnechnogorsk. The damaged disc was taken to the Kapustin Yar range and placed under ground west of Ahryomkin. All of the information included here originated from three Russian investigators; Anton Anfalov, Lenura Azizova and Alexander Mosolov. They claim that the disc is still housed near Kapustin Yar. NOTE: The above image is a rendering. Shape: Sphere – Duration: 3 minutes, 5 grey spheres directly over military aircraft taking off; daylight sighting. Bright, clear day, no clouds. Driving due North along road same direction as airfield runway, witnessed military aircraft taking off at high climb rate; approx. 75% climb rate. As aircraft reached about 200-300 feet above ground I noticed what appeared to be a “flock of grey birds” directly above the aircraft; approx. 300-400 feet above the aircraft. I did a double take to make sure the “birds” were not in danger of hitting aircraft. I then noticed that the “birds” were actually 5 grey spheres. 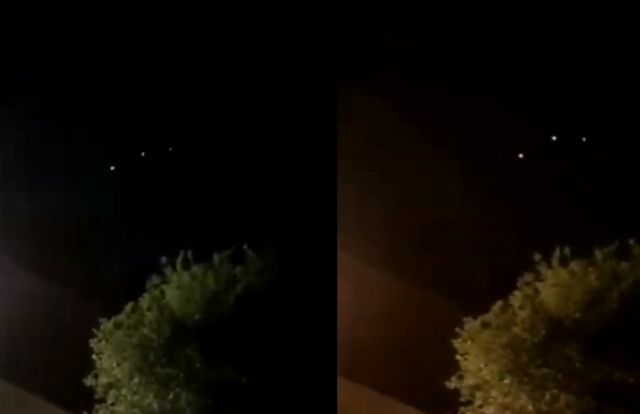 The spheres appeared to be stationary above the rising aircraft. I decided to pull over to get a better look and some possible video or pictures. 4-6 seconds elapsed as I pulled over and re-looked at the area in the sky. The aircraft was still climbing; beginning to flatten out in its flight pattern. I could not reacquire the 5 grey spheres in my line of sight. The spheres appeared to be stationary the entire time I had visual on them. NOTE: The above image is a rendering. I live in a rural part of Michigan. The closest major city is Port Huron. I saw this object near my home on the night of Oct 27, 2013. So, I followed it down a public dirt road. Then it turned so I had to turn onto a private unmarked road which is probably used for farm equipment to tend to the adjacent field crop. At that point, I was running out of road to go any further. So, I got out of vehicle to take a better view of it. Then, suddenly, the object started moving towards me. It startled me so I ran like hell for a little bit. It was making a very strange low swirling noise… so, please try and turn up your speaker volume to hear it better. Once I moved a distance back, I zoomed out the camera a bit more and noticed the object was hovering directly over my vehicle. Then it started to lower itself as it slowly rotated directly over my roof! At that point, it appeared to be shining a very bright green beam over it. Then suddenly, it shot straight up into the sky and the swirling sound disappeared at the exact time it vanished. This was a very eerie experience and even my hair was standing on end through the entire time and felt as if there was highly dense static electricity in the air! What the heck do you think this is people? For the debunkers that come on here and type “FAKE” without doing any in-depth analysis or proof of evidence that it’s a fake just tells me that they’re prejudging the video before even watching it. Also, if they were sitting in my shoes at that time and experienced what I saw, they wouldn’t be saying ‘fake’ either. The video doesn’t do this sighting justice as the light intensity and the sound that came from the object was intense. Even my hair was standing on end at the time. This craft flew right over our home. My wife was recording while my daughter and I were about a 1/4 of a mile away at the post office in Fort Ogden, Florida. Before we went over there we saw a number of large white orbs flying from cloud to cloud. It was a full moon so they were easy to see at around 8 pm. So I told my wife to go grab the camera and see if she could get any of them on film. While at the post office getting ready to get in our SRX we saw everything light up brighter than the moonlight and we looked over and this craft was not 500 yards from us. It was not far above the tree tops moving very slowly; it was bigger than a 747 easily and we heard no sound, it moved along a southern path across 17 highway right in front of us. Then it turned like it steered like a car and went parallel to the highway and started to turn back like it was going to head back over the highway then just vanished. I’m not sure if it accelerated so fast we couldn’t see it or literally vanished. We heard no sound from it and we headed home hoping that my wife was videoing and saw the craft. When we got home she was outside and said you won’t believe what flew over the house and I said we were right next to it and tell me you got it on video and she said yes, so here it is. She said she heard sound from it like an electrical whirl or buzzing sound, but very low decibels. My daughter and I heard nothing. The video is unedited and uncut. My daughter and I both agreed that it was triangle-shaped with some things like arms coming off of it. When we saw it, it had a ton of solid lights and some flashing strobes on the sides and some kind of spinning thing on it. We are sure there will be a lot of reports because there were definitely more witnesses then just us 3. Could it have been government secret craft or something else? You decide or if you know tell us because we are baffled by it. NOTE: The video was of poor quality. The above image is a rendering. On Sat morning my wife and me saw another strange thing in the sunny clear sky. We were on our way to Prescott AZ to meet some kids at 8:00 am 10.19.13. We got off from I- 40 and went south on Hwy 89. Halfway to Prescott in some hilly area and covered with small trees. I had noticed a white disc object on the N. side of Granite Mt in the distance. It looked like some smoke that was coming out of the Mountain. Granite Mt still looked the same with rocks, it was light tan. I also noticed that there was some flat areas in the valley, but to me it could have been gray smoke. I kept staring at the haze and Mts. in the distance as we went around turns and up and down hills. I then remembered that there are no mesa tops in Prescott and told Terrie to look at what I am seeing. She confirmed that they are flat mesa’s with protruding tops. We saw two big ones and one small one very clear and square in the distance. It also looked like some pointed poles below the tops, which were very pointed at each end. They were all one med gray color and very large! There was no shadow or land layers to see. As we drive about 67 mph, we see the left side of the middle mesa start to distort and change. The white disc is now vanished somehow and the left areas are distorting and some things can be seen moving. We lost view from trees and rock hill. When we came out, we saw Granite Mt some other hills and Mts in the valley. They had different shades of color and looked normal in the distance. They looked much smaller now with depth. There is No white disc, No mesa’s and No pointed poles anywhere to be seen. NOTE: The above image is a rendering. 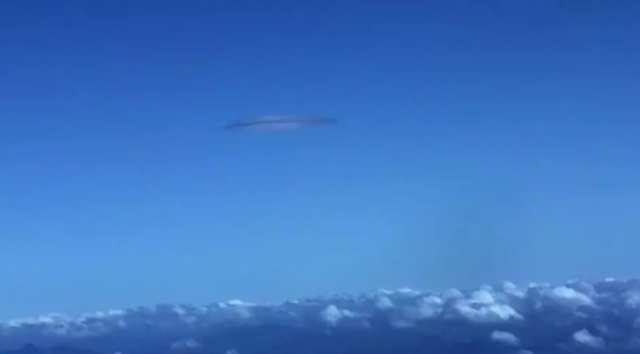 Residents of Humboldt County are seeing strange objects in the sky and hallucinogenic drugs cannot be completely blamed for the occurrences. According to two databases, there have been eight UFO sightings in Humboldt County over the last year. 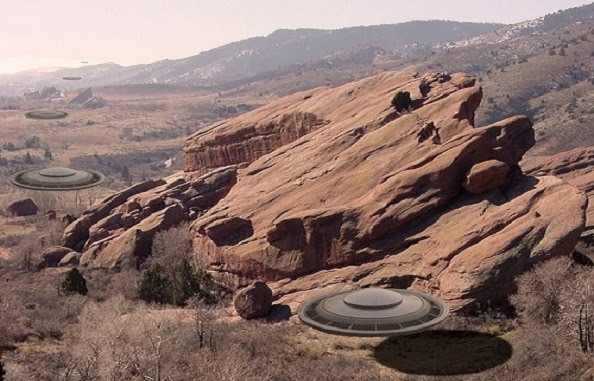 The two databases, Mutual UFO Reporting Network (MUFON) and The National UFO Reporting Center, are the most comprehensive of their kind in the United States. At approximately 6 a.m. on Oct. 18, 2012, a witness in the rural Jacoby Creek Valley saw a round, flame-colored object hover for almost 10 minutes in front of a mountain. They originally thought it could be a forest fire, but quickly ruled that out. They described it as a perfect, glowing radiance with star-like prongs coming off all around the circumference. At 12:55 a.m. on Feb. 24, a witness saw approximately 50 orange orbs rising over the ocean off Eureka. The orbs all traveled in the same direction, but with erratic movements and varying paths. As they moved from northwest to southwest they would eventually disappear. The sighting was long enough for the witness to wake his wife so she could see them. “There’s something very strange going on in your area,” said Ruben Uriate, state director at MUFON. Uriate said California tends to lead the nation in UFO reports, most likely due to its population and geographic location. I let my dog out to pee after he woke me at around 3a.m. June 20th. I saw a light in the sky what I thought was a shooting star. I walked further away from my house to see better. It contd to drop. When it got closer it looked like something out of the ocean a squid, jellyfish? It was hollow in the middle. It had lights streaming from it. When it got even closer it was huge. Something I have never seen. Beautiful. Completely silent. It hovered for a moment then shot straight up in the sky and was gone. This occurred in warren county Missouri. Did anyone else see anything?